Math Class: today we learn to count… bodies. that scream into flesh, the blood sizzle? …what those with meat on their bones do. before you start on college applications. is always empty, waiting to be written. to receive full credit for this English assignment? 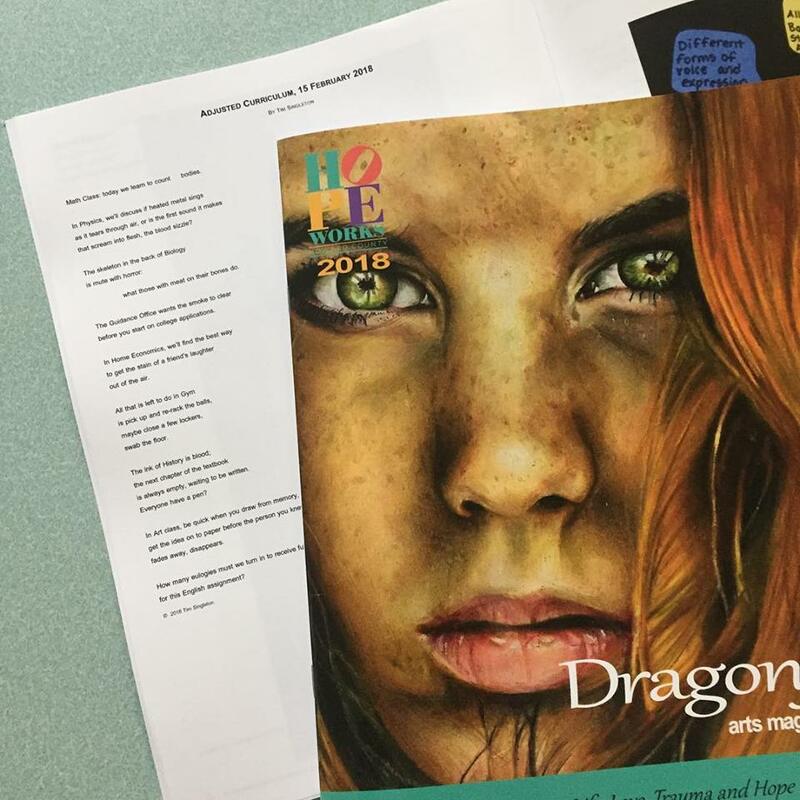 “Adjusted Curriculum” was published in the Summer 2018 issue of Dragonfly, the annual arts magazine produced by Hopeworks of Howard County, Maryland. This entry was posted in Poetry and tagged peotry, poem, school shooting, stoneman douglass. Bookmark the permalink.